As a web partnership company specializing in design, development, and consulting, 3PRIME has been helping businesses grow and improve their online presence and operations offering a broad and growing set of Internet services and advertising for search and social media. Among its many areas of specialization, 3PRIME is proficient in helping new businesses launch websites or update their existing site and supporting those businesses throughout the process and beyond. Matt Ofstie approached 3PRIME with the goal of updating and improving his website. Built on the WordPress platform, 3PRIME created a mobile-friendly, responsive website with an awareness and emphasis on search engine optimization, site architecture, and keyword goals. 3PRIME created and setup a Google Analytics account for BeachWheeler. Tracking and analyzing website data is critical for improving a website, increasing organic rankings, and understanding visitors. 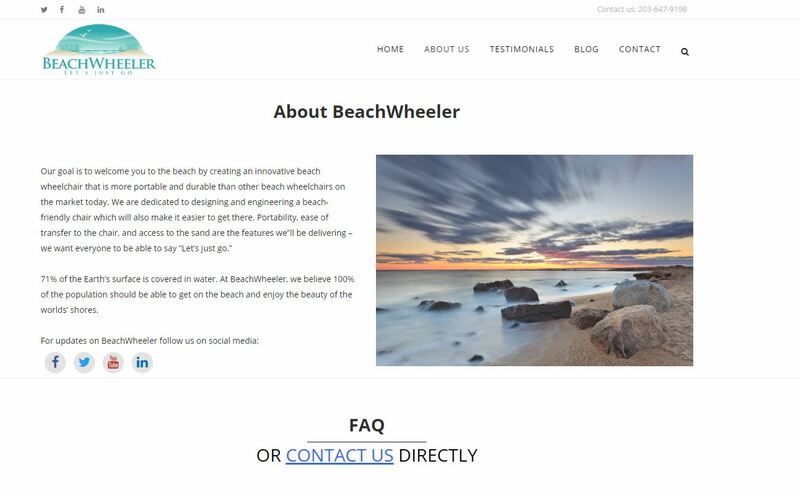 3PRIME is hosting the BeachWheeler website. 3PRIME knows how important it is to have someone you can trust and turn to for advice and troubleshooting when necessary. Hosting the site allows 3PRIME and BeachWheeler to continue working together and collaborate on any issues, changes or problems that arise.